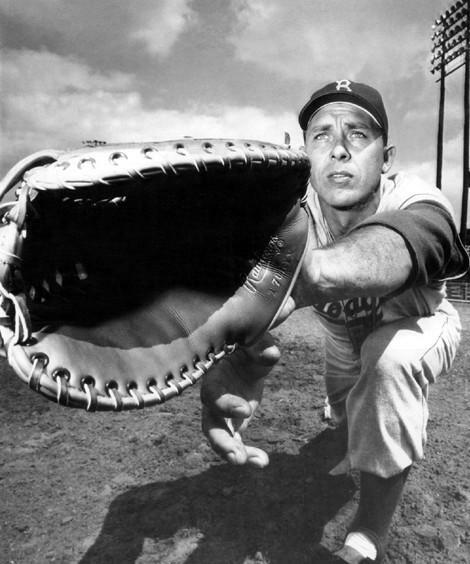 In 23 seasons as Dodger skipper, Walter Alston presided over seven National League pennant winning clubs and four World Series champions. The Dodgers were a National League powerhouse when they tabbed the relatively unknown Walter Alston as manager on November 24, 1953. Brooklyn was a two-time defending National League champion and had reached the World Series four times in the previous seven seasons. Despite the success, the team couldn’t get past the mighty New York Yankees club that beat the Dodgers in each of those four Fall Classics. 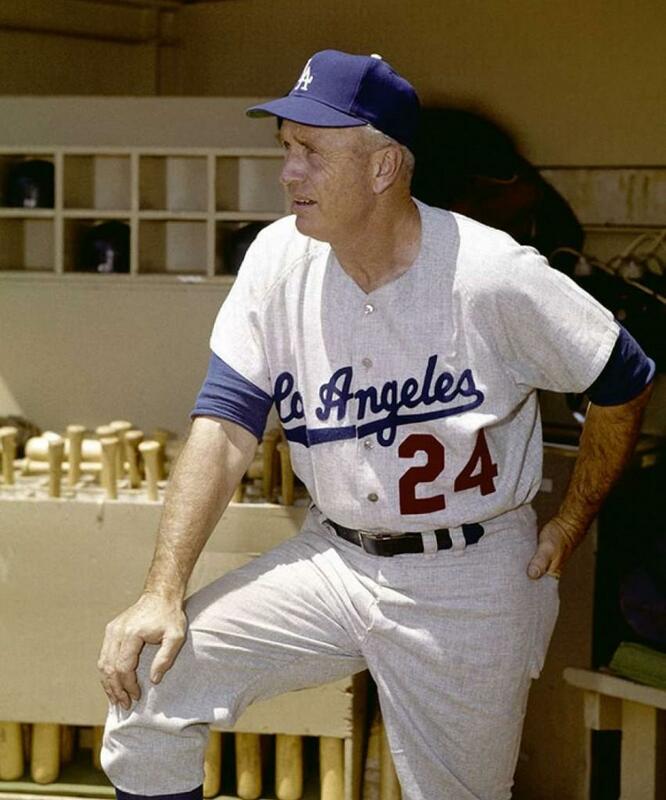 Alston went from managing Brooklyn’s Triple-A Montreal team in 1953 to world champ just two seasons later when the Dodgers finally vanquished the Yanks in 1955. 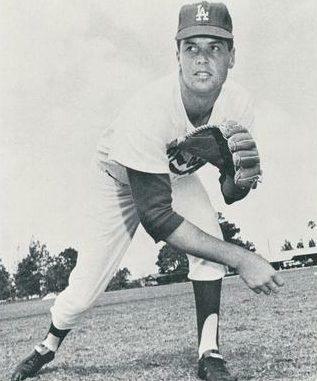 By the time he retired Alston put together a Hall of Fame career, winning 2,040 games and four World Series crowns with Brooklyn and Los Angeles. 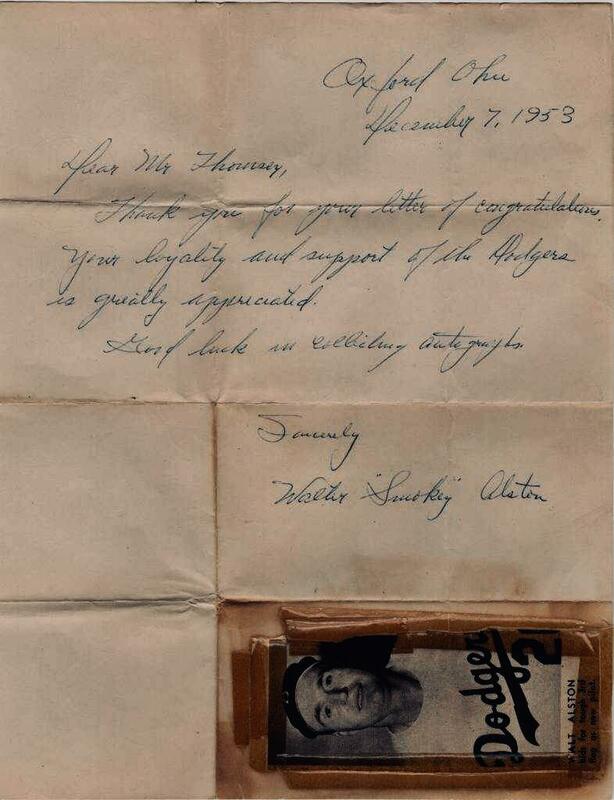 In the collection is this handwritten letter from Alston written before he had managed a single day in the Major Leagues. Dated just 13 days after his hiring, the thank-you letter acknowledges the well wishes of a fan faithful to the Dodgers. The skipper has included his nickname in signing Walter “Smokey” Alston at the bottom. Letters from before Alston’s managerial debut rarely surface. 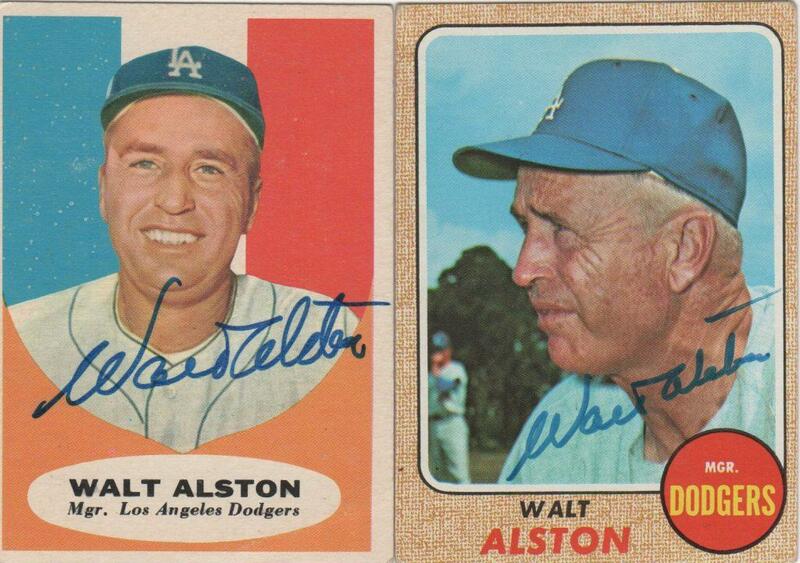 Two autographed Walt Alston Topps cards are shown above, the 1961 and 1968 editions. 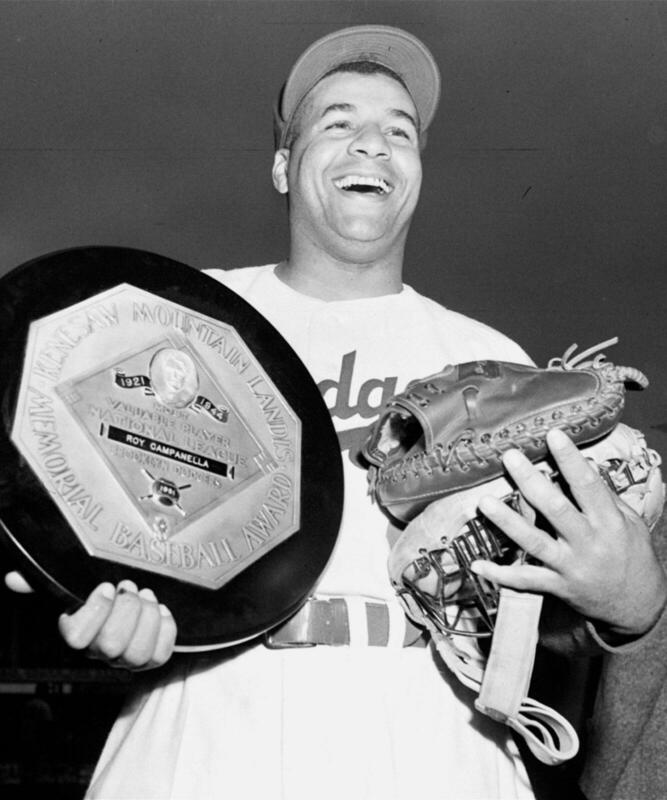 After decades of futility, Alston guided the Brooklyn Dodgers to their only World Series title in 1955, just his second with the franchise. 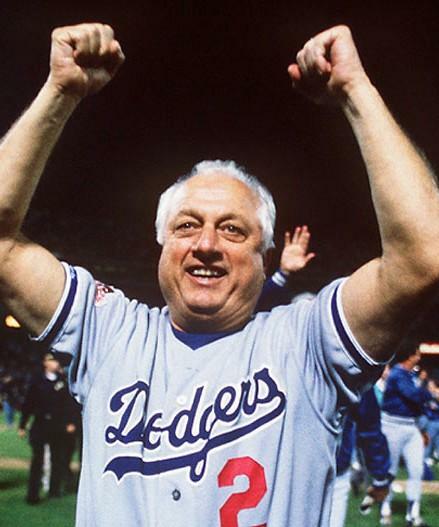 He would manage the club for 23 years helping them win seven NL pennants and four World Series titles. 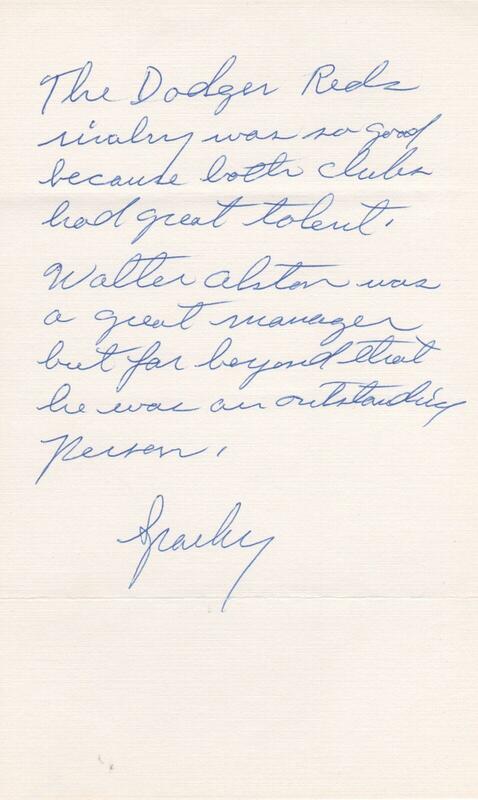 Walter Alston wrote this letter to Arthur “Red” Patterson, the Dodgers public relations director. Patterson is credited with the origination of old-timers’ games, yearbooks, concession souvenirs and many of the most popular promotional events. He also was the first to pace off a home run by Mickey Mantle and refer to it as a tape-measure homer. 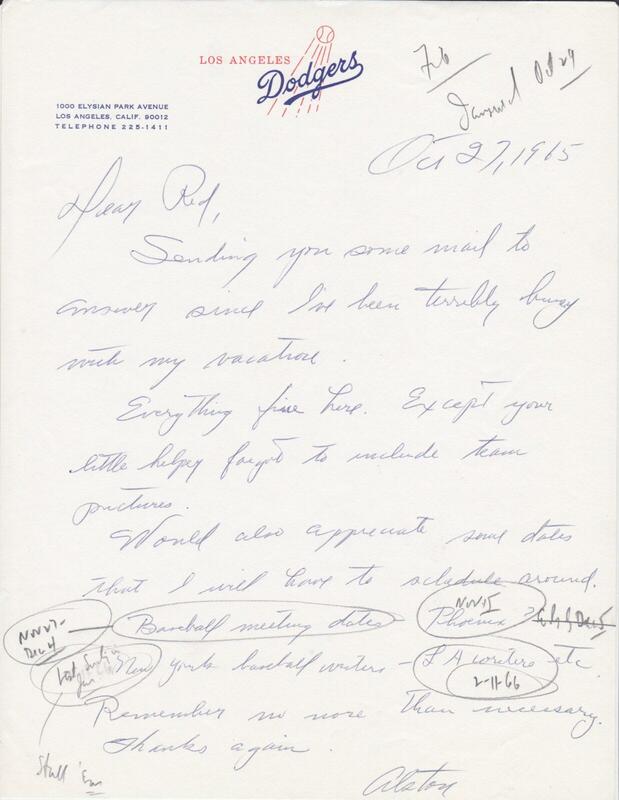 The letter is dated October 27, 1965 about two weeks after Alston guided the team to the World Series championship. A pair of interesting pieces reside in the collection. Shown here are the two scouting report file cards filled out entirely by Alston. The card on the top analyzes Ed Roebuck in 1953, a full two years before his big league debut. 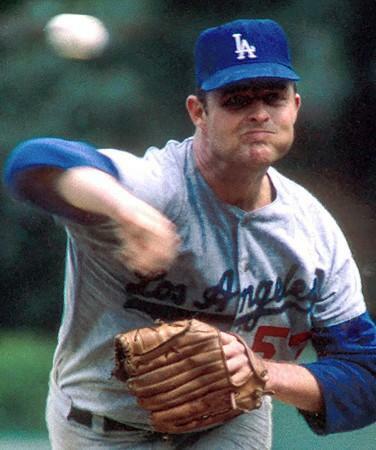 Alston is high on the Dodger farmhand who would go on to appear in 460 big league games. 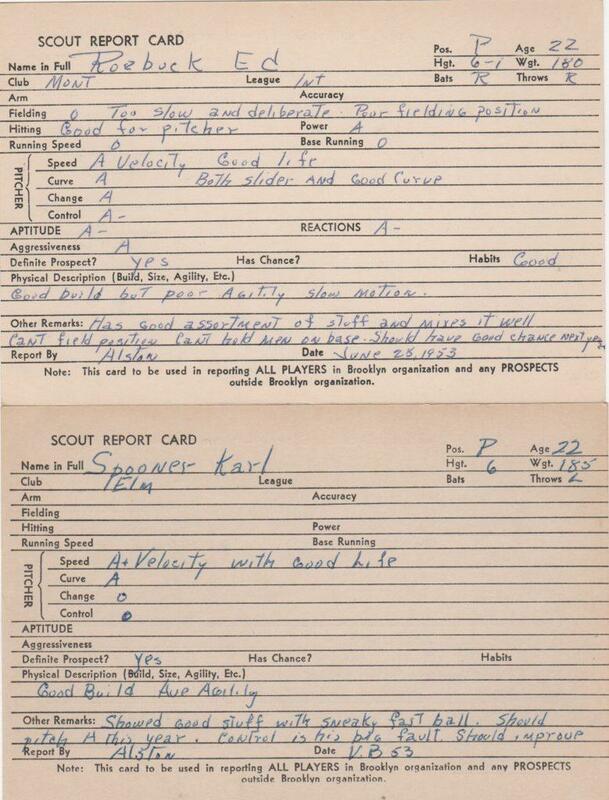 The second card is a report on Karl Spooner, a fireballing 22-year old at the time. Interesting to see how the Dodger skipper viewed these future Major Leaguers. Sparky Anderson’s Big Red Machine battled the Dodgers for supremacy in the National League for a NL West for much of the 1970s. Anderson managed the Reds from 1970-1978. In every one of those seasons but 1971, either the Reds or the Dodgers came away as Western Division champs. 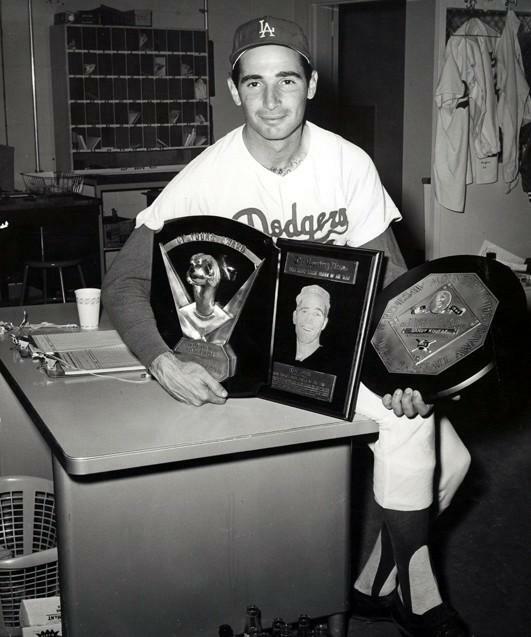 Here the Hall of Fame skipper reflects on the rivalry and on Dodger skipper Walter Alston.